Review: An ex-convict fights to protect his estranged daughter from drug dealers who are trying to kill her. It is great to see Mel Gibson back on form after taking such a long gap out of acting and directing. This could have so easily have gone in the way that the Taken films have gone but what a delight to see a proper action film. I can’t think of another actor who could have taken this role on. The screenplay is very well composed by Peter Craig and Andrea Berloff. 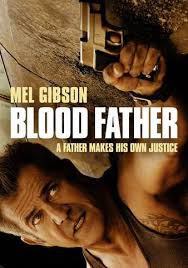 This film was specifically written for Mel Gibson and he is very well directed by Jean-Francois Richet. In 2008, Sylvester Stallone was planning to direct and star in an adaptation of Blood Father. The bar that is used is the same one as in The Guest (2014). More than anything this is about a father and daughter relationship. This is a very violent film.